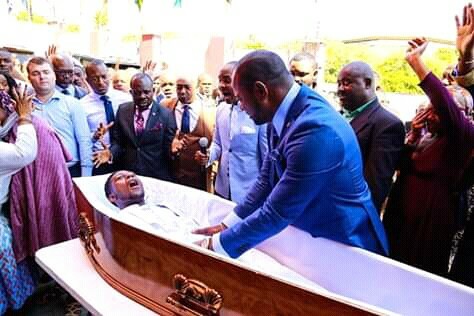 South Africa: Did Pastor Alph Lukau resurrect dead Zim man in live video?? 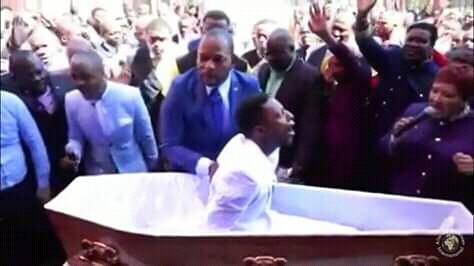 Controversial Pastor Alph Lukau of Alleluia Ministries International Johannesburg published a live feed of his Sunday service online, where he is seeing, allegedly raising a dead Zimbabwean man in a coffin . 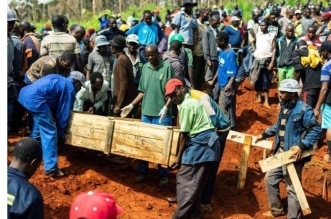 In the Video, the alleged dead man is seen breathing and wailing his tongue before Lukau performs his miracle and raised the man. The raised man did not waste time waiting for dead vessels to heal or dead cells to multiply, he was quick to his feet and looking fresh to continue his life. The CRL has come under fire for allowing the likes of Bushiri, Omotosho, and Lukau to continue extorting people through the religious faith. Mansa Abraham, forensic science technician believes Alph Lukau is a fraud and must be charged Immediately by public authorities. He says he has never seen an embalmed corpse with such lips. “After death, the body enters a long process of decomposition, as its organic matters decay and the skin gets pale, especially areas such as the lips”.